Balance your life through mindfulness. Treating SIBO (small intestinal bacterial overgrowth) has traditionally relied on antibiotic therapy, together with the management of the underlying cause of the bacterial overgrowth. With researchers discovering the importance of feeding healthy gut bacteria, how might your choice of food help? Diagnosis of SIBO: see part 3 of the SIBO series. Identifying the underlying cause of SIBO: see part 2 in the SIBO series. Appropriate management of the cause of SIBO forms part of the health management plan. Consider antibiotic therapy, as prescribed by your medical practitioner. Consider botanical antibiotics, as prescribed by naturopath, homeopath or integrative medical doctor. Consider probiotics and prebiotics from food sources. Consider a low FODMAPs diet, as designed and monitored by an accredited practising dietitian. Note: The most researched treatment of SIBO is antibiotic therapy, with rifaximin being the most commonly used antibiotic. 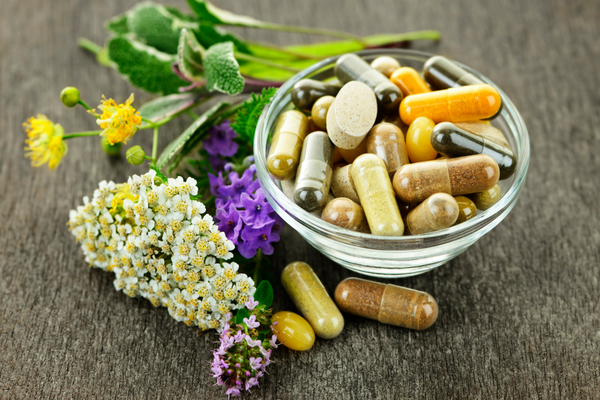 Dietary manipulation has minimal research evidence, as does the use of botanical antibiotics. Probiotics are live microorganisms found in bacteria, yeast or fungi. When consumed in large doses, probiotics can help improve and maintain the health of your gastrointestinal tract. This friendly (or good) bacteria is essential for maintaining good health and vitality. You might like to read the article on the gut microbiome. Food sources: fermented foods such as yoghurt, kefir, miso, tempeh, sauerkraut and other fermented vegetables. Prebiotics are the food for healthy gut bacteria. Prebiotics are non-digestible food fibres that enable good bacteria to survive and grow. Food sources: legumes and lentils, vegetables, fruit and whole grains. A lack of probiotics and prebiotics from your food can cause bad (pathogenic) bacteria to dominate. This can lead to poor digestion and symptoms of bloating, excess gas, constipation, and diarrhoea. In the long term, it can lead to inflammation and damage of the gut lining. This has a negative impact on physical and mental health and wellbeing. In theory, it seems that you could replace ‘bad’ bacteria with ‘good’ bacteria. However, at this time there is no research evidence to guide the choice of probiotic supplementation in SIBO. At this time there is no research evidence to guide the choice of probiotic supplementation in SIBO. The intestinal microbiota is very sensitive to changes in the types of dietary carbohydrate, as bacteria feed off fermentable carbohydrates. The theory is that by restricting fermentable carbohydrates, you reduce the numbers of bacteria and symptoms of irritable bowel syndrome (IBS). A low FODMAP diet has been shown to improve the symptoms of IBS and improve the effectiveness of antibiotic therapy. However, to date, there is no published research measuring the effectiveness of a low FODMAP for treating SIBO. There is no published research measuring the effectiveness of a low FODMAP for treating SIBO. A low FODMAP diet needs to be individually tailored to your personal health requirements and should be managed by an experienced accredited practising dietitian. The aim of treatment is to establish and maintain a healthy gut microbiome. Ensure that you have been diagnosed with SIBO. Understand the reason that you have developed SIBO. Obtain appropriate treatment for the reason you have developed the bacterial imbalance. Discuss your personal requirements and preferences with your healthcare practitioner team for treatment with antibiotics and food. Ensure that you are routinely retested for SIBO to measure the effectiveness of your choice of treatment. Avoid eating confusion by receiving the Nourishment Newsletter each month. Would you like to eat in a way that really suits you, without a "diet"? The Eating for You book offers step by step guidance, to take you from where you are today to a balanced and personalised way of eating and living. It encourages you to eat with the seasons. And takes into consideration your eating habits, health, and lifestyle, and for a limited time comes with a free downloadable workbook. Receive Nourishment for your mind and body via our monthly Nourishment email publication—offering practical information, tips and resources. Why do we need chromium and where do we find it? Do you have an eating habit that you'd love to change? You might skip meals, snack too often or maybe you're confused about what is best for you. You can change this. Take the first step by reading Chapter 1 of Eating for You for free, today. We will never share your information with any third party. After entering your information here you will only receive occasional personalised contact from us.